Right now, most of us are comfortable with our 4G speed. As the data speed is good enough, and not to mention the availability of a multitude of different data plans that put us in dilemma, it is kind of hard to imagine anything that’s faster, but also cheaper. So it’s a no-brainer that the mobile world is all hype about 5G now. In the future, a speed that peaks more than 10 Gbps (Gigabits per second) won’t be unheard of. LTE-A Pro stunningly offers data speeds of 3 Gbps, but full commercial usage of LTE-A Pro is still some time off. According to Deloitte Global, it will be commercially available by the end of 2017, and not all carriers are going to offer it. But simply put, the world is currently taking the necessary pre-5G steps. 5G : WHEN IS IT COMING?? There isn’t an official definition of the 5G technology standards just yet, so the shift won’t happen that quickly. 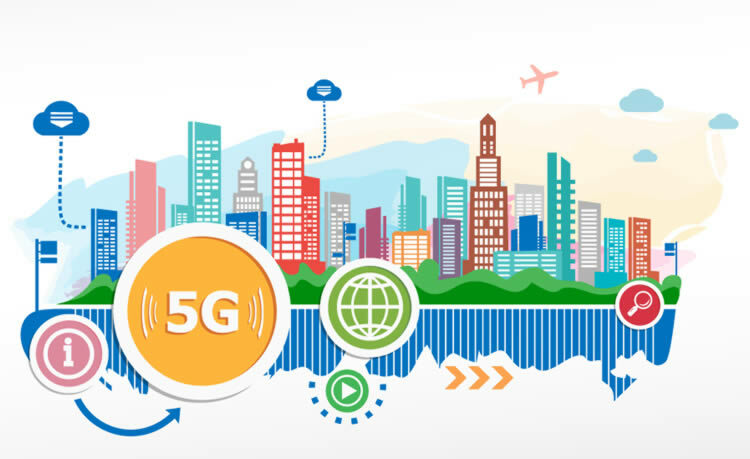 According to Ericsson Mobility Report, the adoption rate of 5G mobile broadband is expected to be similar to that of LTE, and rollout will commence in major metro areas, reaching around 15 percent population coverage by 2022. 5G revolution is more than just offering faster data speeds to your phone. Soon, devices in our homes will be interconnected, and everything on the road will be talking – driverless cars will interact with each other to offer better safety. This kind of information travels in small packets of data, but it needs to be done instantly. And here is the advantage of 5G – it offers very low latency (the time taken for a packet data to travel from one point to another). So as you can see, incorporating 5G technology involves massive infrastructure upgrades. IS 5G HAPPENING IN MALAYSIA? In May 2017, Celcom Axiata Berhad partnered with communication technologies provider, Ericsson to conduct its 5G technology trial. Both companies have signed a 5G memorandum of understanding (MoU) earlier in February 2017. The trial was the first to be conducted on the 28GHz band in South East Asia. It also featured 5G Radio Prototypes from Ericsson, achieving a peak throughput up to 18 Gbps and latency as low as 3 milliseconds. Both companies also showed futuristic 5G uses during the trial – robotic control, connected environment, virtual reality, Internet of Things (IoT) and more. Previously, Celcom also announced its Lightning Fast LTE service, which is based on LTE-A Pro network, that has been available in August. To enjoy speeds of up to 400 Mbps offered, users will have to upgrade their mobile devices to the latest models that support 4×4 MIMO (multiple-input and multiple-output) like the Samsung Galaxy S8/ S8+, for instance. As the inevitable digitalisation and continuing evolution in the communications industry is growing, so is the demand of the consumers in the country. So far, the future of 5G in Malaysia seems bright and hopeful. What we can expect now is things are going to be a whole lot faster.